Practice Area: Nice practice facility with grass tee driving range, putting green and chipping area. Description: This public course is straightforward and has a laid back atmosphere. It's a good course for players learning the game, especially juniors. 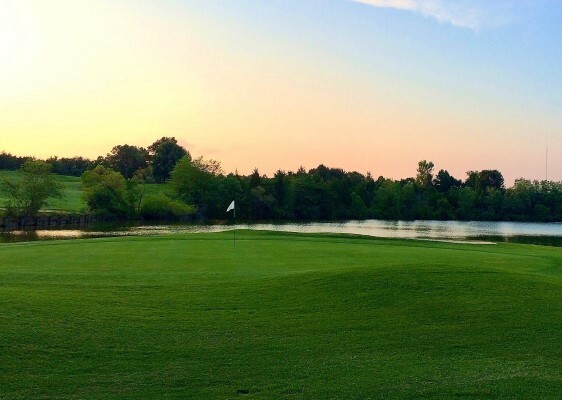 There are a few ponds that come into play on 4 holes. Plenty of bunkers too. Notes: Home of the Impact Performance Golf Learning Center. Allen Avakian is the Director of Learning. Wide array of memberships offered, very reasonably priced. The course is now managed by Ratcliffe Golf Services and is a sister course of Harry Jones (Renaissance Park), Sifford (Revolution Park) and Sunset Hills. B-Man's Take: This course is a nice change of pace. The greens are usually average speed so you have a chance to make putts. The bunkers and water hazards can eat up strokes. Because of that, I think the course plays more difficult than its rating. My favorite holes are #18, a reachable par 5, and #14, a par 3 over a pond. The view from the 11th green is one of the best around town, especially when leaves change in the fall. 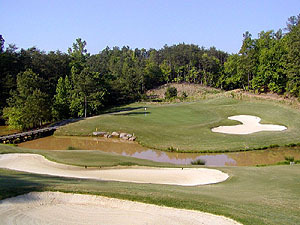 My hell holes are usually #6, the #1 handicap par 4 with water along the right, and #8 a par 3 over a pond. 6/7/18 - Update on the greens renovation: The course will be closed from July 5th until the first of September as they switch over from Bentgrass to MiniVerde Ultradwarf Bermudagrass greens. They'll also be leveling tee boxes and making other improvements. They will have a web page with status updates on the renovation and I will post it on the message board once I get it from Ratcliffe.